Anyone who regularly checks out the nail polish aisle has probably seen the advertising for the new Essie gel top coat. Not only can you purchase the top coat for any Essie nail polish, but you can also buy little packages for about $15 of the gel coat paired with a popular Essie color. I had to pick it up since I don’t have any gel top coats in my collection. Check out this short review below! I purchased the color Ballet Slippers to go with this gel because it was one of the few colors they offered that I didn’t have (they were good at selecting their most popular colors). 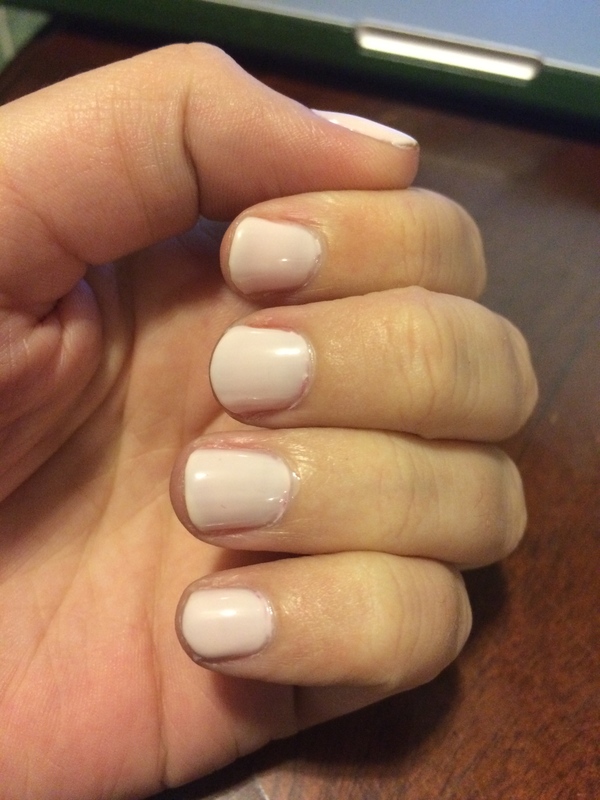 I love this light pink color and I was excited to try the top coat. When I first put it on and within the next couple of hours I didn’t notice much of a difference in the look of the nail polish. It didn’t look much shinier than my regular Sally Hansen top coat. I noticed the real difference for the next couple of days. The polish did look quite shiny and smooth in the daylight. I added pictures below of the polish on day 1 (left) and a few days later (right). Sorry about the lighting there, but my spaces were limited. I do think that my polish chipped a little bit earlier and more intensely than usual but that could be my lifestyle as I was moving at the time. I hoped to test it one more time before writing this review but I can’t find it after the move! I would recommend this gel setter if you’re interested in shine and need a new top coat. I definitely don’t think it’s necessary if you have a great top coat already. It is also a good chance to test out some popular Essie colors! This entry was posted in Review and tagged Essie, Essie Ballet Slippers, Essie Gel Setter Top Coat, nail polish review. Bookmark the permalink.